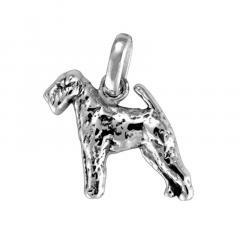 Our Sterling Silver Dog Charms make a wonderful dog lover gift! Our Medium Size Dog Charms are wonderful on our necklaces as well as our bracelets. Each charm is handmade in the USA. Our Sterling Silver Medium Dog Charms ship in approximately 1-2 weeks.